In the last few years, the clean energy storage market has exploded. What differentiates sonnen from its competition? Sonnen was founded in 2010 by Christoph Ostermann and Torsten Stiefenhoffer. They saw an opportunity to innovate the way that solar energy was used in Germany by developing a smart battery system, which could store and release excess solar energy. Today, sonnen is on its 7th generation of smart energy products with over 18,000 sonnenBatterie systems installed globally. The tradition of innovation in energy products and services is ongoing; we’ve successfully implemented our sonnenCommunity virtual power plant, the sonnenFlat European utility tariff and numerous ancillary energy products. As a global organization, sonnen is a proven innovator and disruptive force in the energy space – we’re just getting started! When it comes to battery energy storage, chemistry is king. Because sonnen’s primary focus is the residential storage space, we’re vigilant about designing storage solutions that maximize energy use without compromising safety or longevity of service. A home storage battery doesn’t need to be small, lightweight and power-dense, because it doesn’t need to be mobile like a car or laptop battery. It does, however, need to be designed specifically to meet the requirements of residential storage. That’s why the sonnenBatterie uses lithium iron phosphate (LiFePO4) batteries, the safest and longest-lasting chemistry available on the market. This chemistry is the best choice now, and will be for the next 3-5 years. This superior battery chemistry allows us to make safety our number one priority without compromising performance. Another reason that the sonnenBatterie offers greater value to our customers is that we have the best form factor in the marketplace – our all-in-one systems are fully-integrated and easily scalable. sonnenBatterie systems start at four kWh and increase in two kWh increments up to 16 kWh. Not all households are the same and more sizing options provide the opportunity to truly tailor the system to each family’s energy needs, maximizing both customer satisfaction and the value that energy storage system provides to each customer. The systems are easy to upgrade. Customers can add battery modules to their system later should their energy needs change. sonnen’s energy manager software can be remotely updated with new services, enabling customers to future-proof their homes against changes in energy tariffs and their own consumption pattern. Finally, at sonnen we also understand the importance of choosing the right partners. We are invested in each sonnen system from the moment it leaves our hands until it is properly installed and functioning in the customer’s home. This means building strong partnerships with the best solar and electrical companies to ensure that we are in touch with the needs of installers and homeowners. We guarantee that every sonnenBatterie customer receives the best support throughout the entire process. What’s the difference between an all-in-one energy management system, like the sonnenBatterie, and a solar battery? With an energy management system, you are getting just that – a solution with everything you need, all consolidated into one box and elegantly managed by intelligent software. Every single component required to manage the solar (or other renewable) energy you produce is included – not just a battery. Our one-stop-shop systems include an inverter, energy management software, automatic transfer switch, circuitry and metering. This differs from competing offerings in that many only offer a battery or part of the system. That means consumers need to buy and install many other components in order to efficiently manage their energy – all while keeping track of various warranties for each. Plus, it can become complicated and challenging to install these batteries and other parts since it involves integrating many components from various manufacturers into one. There are also additional, unexpected costs to the customer when this approach is taken. In the case of our sonnenBatteries, all these components are fully-integrated and conveniently located in one “cabinet”, there are no disjointed pieces that need to be externally connected. In addition, the pricing is more upfront and all the components are covered under the same, single warranty which lasts 10,000 cycles or 10 years. What is the minimum or optimum energy footprint where the sonnenBatterie starts to become an economical option for a homeowner? It depends. Defining an optimum or minimum is challenging given the variation in energy costs across the country. Focusing on the places where net metering has expired, it’s a better ROI for customers to store and use energy as they see fit. For some places where outages are a problem, a single power outage for a few days can cost thousands of dollars in groceries and lost productivity. Also, we are increasingly seeing areas with high time-of-use (TOU) rates, including many in San Diego, PG&E territory and Hawaii, where customers can offset high evening rates with stored solar energy. Additionally, places like California, Maryland and Massachusetts that offer solar + storage incentives at the state level, are making it very inexpensive to install these systems. The goal is for these programs is to encourage adoption and lead to lower technology costs, which eventually disappear once a market has been created. What is the future of residential home energy storage? 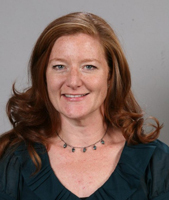 How will sonnen play a role in shaping the future of energy in the U.S.? As our grid infrastructure continues to age and distributed generation continues to grow, virtual power plants and community energy will be key within the residential energy storage market. This kind of innovative technology has already been deployed in places like Germany, with our sonnenCommunity, and with Green Mountain Power in Vermont. In these places, homeowners, both with and without solar panels on their roofs, trade energy between one another and even provide services to the utility grid. If one household has a surplus of solar energy, rather than wasting it, it’s used by another customer who’s in need of energy. Another concept that will play a major role in the future of residential energy storage is the idea of a fully connected “smart home”. This will include smart thermostats and appliances, which use intelligent software to manage the energy that’s drawn from the smart home storage system. sonnen is at the forefront of this technology and we see the future as one with clean, reliable and affordable energy for all. By bringing our experience in the German market to other parts of the world, our goal is to accelerate the adoption of storage. In the U.S., for example, sonnen piloted a virtual community power plant project with Green Mountain Power in Vermont in 2016. sonnen is also breaking into new markets, including home builders and smart home integrators, introducing the benefits of making solar + storage the standard for homes across the country. We will continue to innovate and implement products and services that meet growing customer needs for energy independence and a greener world for all. What are the challenges and opportunities within the energy storage market? The opportunities for innovation in the residential energy storage market are endless. Part of what makes energy storage systems so unique and groundbreaking is their ability to manage stored energy autonomously by using intelligent software. As new software developments advance with increasing frequency, our systems will only continue to become more efficient. In any young industry with new players, solutions and products constantly being introduced, there are challenges when it comes to education and differentiation. Customer and partner knowledge varies wildly. Being transparent about price, value and other key factors is always crucial. Yet with the residential energy storage space still in its infancy, there are few established business models, benchmarks and standards, making it important to fully understand a customer’s need in order to recommend the best possible value and solution for their price. How will sonnen enable energy independence in the U.S.? How is this approach different from what sonnen is doing in Europe? Unlike the sonnenCommunity in Germany, the structure of the U.S. energy grid system makes it harder for individuals using energy storage to live completely independent of their utility company. However, there’s an immense opportunity to make energy independence achievable for more Americans, by working together with utility companies to create a similar, sonnenCommunity-like system. In municipalities, regions and states where utilities are deregulated, sonnen will work with the local utility. Sonnen is able to recommend and implement wholesome solutions to empower both the customers to save money and contribute to a reduction of their carbon emissions, while at the same time giving the power provider temporary access to the same resource to manage the grid to achieve a higher efficiency. An opportunity to jump-start a sonnenCommunity will arise through partnerships with new home homebuilders. This route involves a unique value proposition; the homebuilder will create a network of homes which all have solar + storage systems, a feature that none of its competitors will be able to offer. The builder can engage with the utility in an early phase of the project, reducing infrastructure cost, and plan to use the resource as a virtual power plant (VPP). With various options discussed in the media, how can homeowners figure out what energy storage system is right for them? With the market growing so rapidly, consumers need to understand which product best suits their household’s energy needs. Again, the key is starting with a customer’s energy usage and determining how they will use an energy storage system. This is where scalability and our partner relationships play a big role. It can be complicated, but tools exist and our installers are trained to assess a household’s energy usage and help find the right sized battery to maximize efficiency and customer satisfaction. Installers, solar providers and storage manufacturers typically have insights into the unique policies and incentives available in specific areas and communities, which is an asset in making the right recommendation. Working with installers who have a deep understanding of the individual’s home and energy needs, as well as local government regulations, utility structuring and environmental factors will help facilitate a quick and accurate decision-making process and, ultimately, lead to greater customer satisfaction. How do you see the market developing over the next 5 years and what will it take to accelerate the process? Looking down the road in the U.S., we expect to see the storage market having success in three big ways. The first of these is in backup power, especially for rural areas and places prone to natural disasters. Energy security during a grid outage is important to many Americans. Adding storage allows solar customers to continuing generating energy during a power outage, providing them with greater independence and peace-of-mind. Secondly, we’re seeing increased adoption of solar + storage. More and more people who have purchased solar – or another renewable energy system – are starting to pair their generation systems with storage capabilities. In places where net-metering benefits have expired, customers are using storage to save their excess solar for use at home rather than feeding it back into the grid. Innovative consumers and early adopters have also begun to explore ways to use stored daytime energy at night and during peak periods. As the future of energy becomes more uncertain in our country, it’s likely that more Americans will purchase energy storage systems to give themselves greater independence from rising utility costs. Finally, we also expect the renewable energy market to grow through aggregation to provide grid services and, even someday, energy trading like we have seen work successfully in Europe. Aggregating distributed resources has the potential to create many new business models, from offsetting utility costs to enabling peer-to-peer trading in deregulated markets. 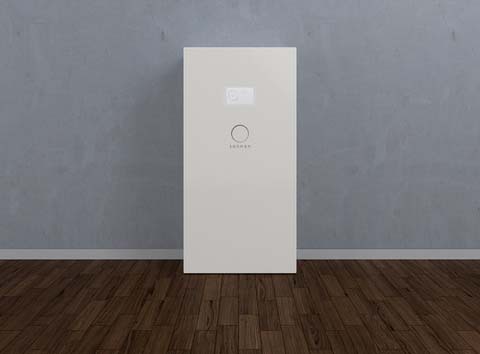 Going beyond the peer-to-peer trading model, other models sonnen has seen success with in Europe that rely on aggregation could be beneficial for the U.S. With a program like the sonnenBatterie City, homes who do not self-produce clean energy (i.e. do not have solar panels on their roofs) would potentially be able to obtain electricity from a clean energy community. Needless to say, clean energy generation, trading and storage has seen tremendous change and adoption all over the world. In the U.S., sonnen and other industry players will continue to explore ways to encourage a cleaner energy future, and adapt some of the best practices learned from other countries to give residential energy storage the supportive push it needs to reach mainstream adoption in the U.S.